Old marine hospital has seen a makeover inside and out as the new $31 million Martha's Vineyard Museum. 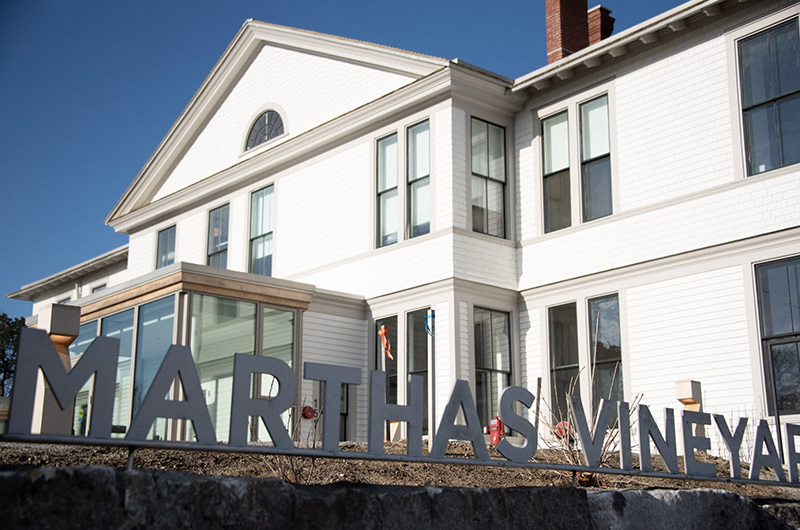 As the Martha’s Vineyard Museum puts the finishing touches inside the renovated former Marine Hospital — now slated to open in March — more developments are occurring outside the building’s restored 1895 facade. 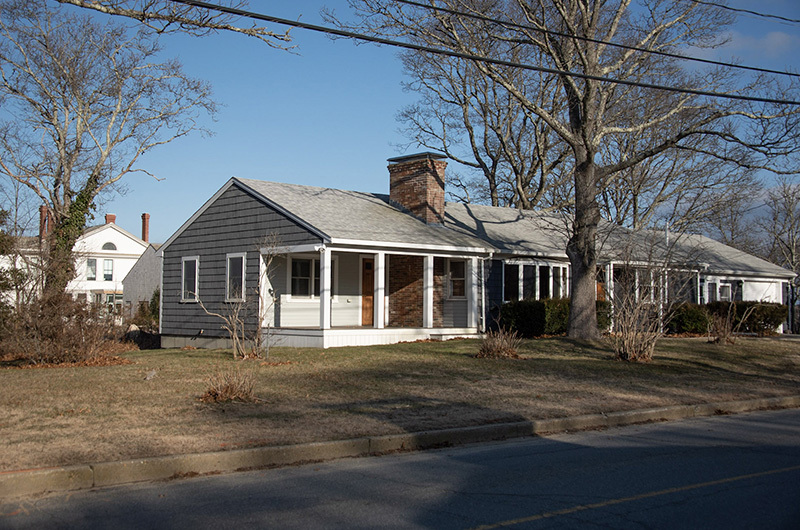 With the recent acquisition of a house at 174 Skiff avenue, the museum now owns three properties surrounding the main campus, noticeably increasing its footprint in the small Vineyard Haven neighborhood overlooking the Lagoon Pond. The purchase of the Skiff avenue property closed last week for $800,000. Katy Fuller, museum operations manager who is overseeing the $31 million capital project, said the acquisition was made possible by an anonymous donor family. “We purchased it . . . but it was mortgage-free. The family paid for it,” she said. In late spring of 2018, the museum acquired a home just east of its new property at 212 Skiff avenue for $1.13 million, also with the help of a donor. Then near the end of last summer, the museum bought a condemned house at 200 Skiff avenue for $425,000, according to land sale records. No donor was involved in that purchase. hill with a steep driveway. The Mitchell property will give the museum level roadside access, Ms. Fuller said. The Martha’s Vineyard Commission recently granted the museum approval to extend a sidewalk along the north section of Skiff avenue to ease access for people coming from the ferry, but Ms. Fuller said the new property will provide an access point for visitors who want to avoid or do not come through Five Corners. As for the house itself, she said the museum has explored the possibility of using it for collection storage or housing for summer interns, although nothing has been decided. She said the museum is using the first floor of the house at 212 Skiff avenue for collection storage, while the second floor is being used as office space. She also said the house at 212 Skiff avenue was gifted to the museum from a separate donor who was interested in collection preservation. The museum still does not know what it wants to do with the third house on the corner of Skiff avenue, Ms. Fuller said. Even though it is condemned, she said the museum has not received a permit to tear it down. Ms. Fuller said the museum will not be actively pursuing any more properties in the neighborhood. Meanwhile, the grand opening of the new museum originally planned for January has been delayed and is now planned for sometime in March. The facility received a certificate of occupancy on Dec. 21, but Ms. Fuller said about 10,000 square feet of exhibit installation still needed to be completed along with floor sanding and other finish work. A few Island groups have had sneak peaks, including the Martha’s Vineyard Chamber of Commerce and Oak Bluffs second graders, but others will have to wait until mid-March at the earliest for the opening. The general contractor for the project is Consigli Construction, a large firm originally founded in Milford with offices in Boston, New York, Maine, Connecticut and Washington, D.C., according to its website. When the museum does finally open, it will offer Vineyarders an array of exhibits on the Island and its history. Permanent exhibits housed on the first floor will include a thematic history of the Vineyard, an interactive children’s play area called Hands-on-History, a pavilion surrounding the Fresnel Lens called Flashes of Brilliance, and an exhibit on shipwrecks. Upstairs, there will be exhibits on music and the 100th anniversary of the Migratory Bird Act. Come summer, those will make way for an exhibit on the renowned American painter and longtime Island resident Thomas Hart Benton, set to open June 28. Outside the Fresnel Lens pavilion, the museum will also have a cafe operated by Island caterer Buckley’s Gourmet Catering. Ms. Fuller said the cafe will likely be open year-round with no admission fee requirement. We never have enough employee housing and using it for summer interns is the right thing to do. I look forward to the grand opening. All of this news on access and more storage and more exhibition space is music to a museum man's ears. A Benton show to make a splash this summer! From afar it looks like a wonderful renovation and an energetic program right out of the gate. All are excited to see the magic revealed in March. A great job in process and a job well done. Kudos to the Board and to the staff. 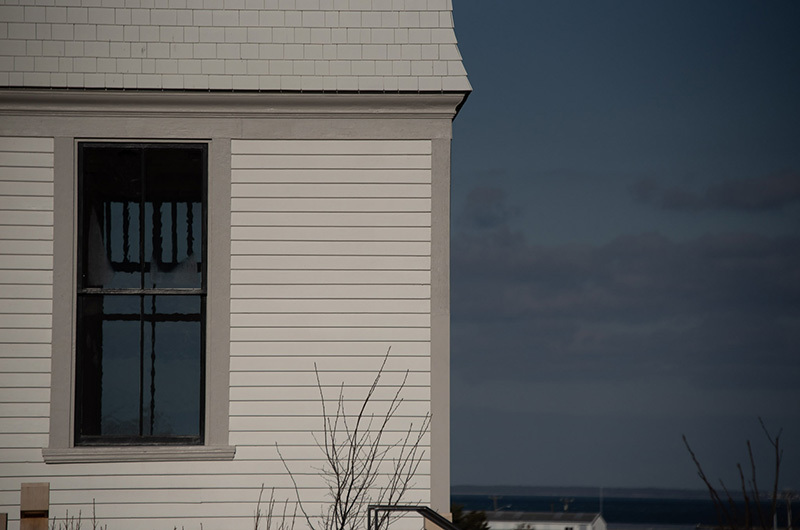 This has been a wonderful journey to watch the conversion of the Museum from its small Edgartown facilities to its new home overlooking the Vineyard Haven Harbor. Having toured the building before the renovation, I am looking forward to the opening. Bravo! GO MV MUSEUM GO! I can't wait to see the new space in person, sounds lovely. Thank you to all those who have been working hard from the construction crew and landscapers to the librarians to the architects, the board, everyone involved, thanks again.